presented by digital solutions inc.
HEAD&NECK MUSCULOSKELETAL SYSTEM ver.2.01 is now available at App Store. The release-note list was update. Currently, our DS Anatomy application does not support iOS 8, some images are not displayed appropriately in iOS 8. 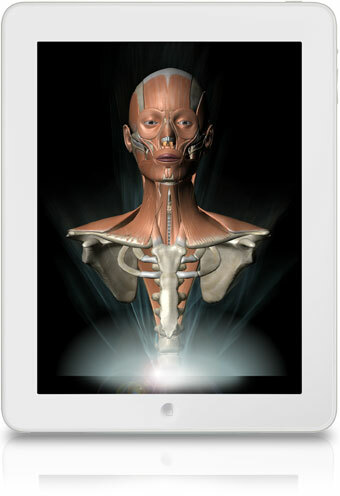 This is a completely new 3D anatomical medical educational application, specialized for musculoskeletal of head and neck. A user can visualize the 3D model at any angle on the iPad with easy operation. It is useful for self-learning, educational material and presentation. Copyright © 1999 - 2013 Digital Solutions Inc. All Rights Reserved. *iPad,iPhone,App Store are trademarks of Apple Inc.
*DS ANATOMY is trademarks of Digital Solutions Inc.